This is a form design, and not a working functional form! This kit stuff will save you a lot of time when creating websites! They’re really easy to use and have very nice interfaces. Enjoy! 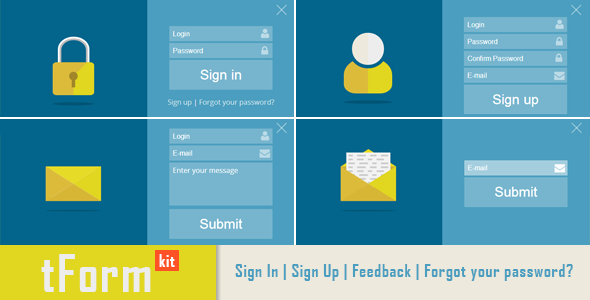 This entry was posted in Uncategorized and tagged animated forms, animation, contact form, css forms, css only, database, feedback form, feeds, flat forms, form, forms, html forms, log in, media, php, register, scripts, sign in form, sign up form, sliders by Acty. Bookmark the permalink.